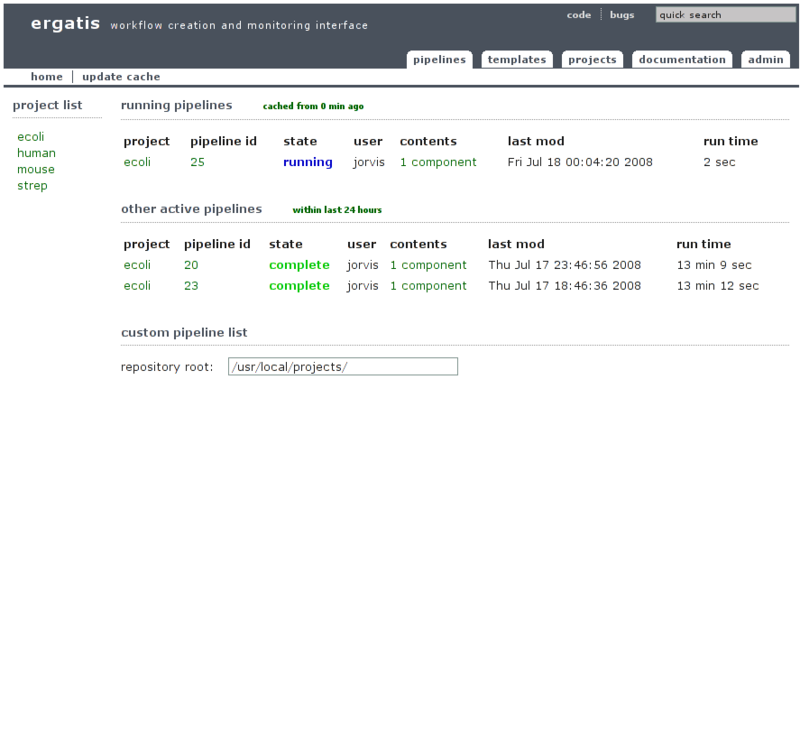 Ergatis uses the Workflow engine to process its work on a compute grid. Workflow provides an XML language and processing engine for specifying the steps of a computational pipeline. It provides detailed execution status and logging for process auditing, facilitates error recovery from point of failure, and is highly scalable with support for distributed computing environments. The XML format employed enables commands to be run serially, in parallel, and in any combination or nesting level. This is the main/index page for Ergatis. From it you can choose a project page or view recent pipelines run across all project.